I was born and raised in Saipan, attended the University of Hawaii and transferred to the University of Southern California (USC) during my sophomore year. I am a senior at USC majoring in Computer Science and Business Administration. Some of my interests include hiking, yoga, the Discovery Channel, and food. I am currently working in USC's Human-Interaction Lab on a nonverbal behavior generation system for a robots. The Nonverbal Behavior Generator (NVBG) system, developed by the Information Sciences Institute, analyzes surface text and marks it with the appropriate nonverbal behaviors. The system's output is then used to animate an embodied conversational agent (ECA). Currently, the ECA used with the system is a virtual human character. The goal of this project is to be able to use the system with robots. The system will be used with a robot called Sparky. 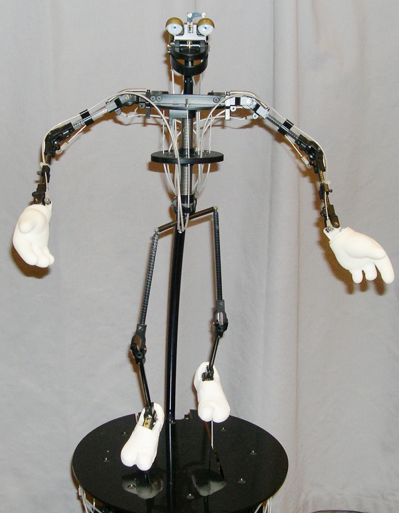 Sparky is a Disney robot whose movements are controlled by motors. Having joints attached to several motors gives Sparky a wider range of motion, allowing it to have a more animated character.